For example the Wall Cycle does the most damage in the last 2.5 weeks of the cycle. This is important to remember for shorter term trading. 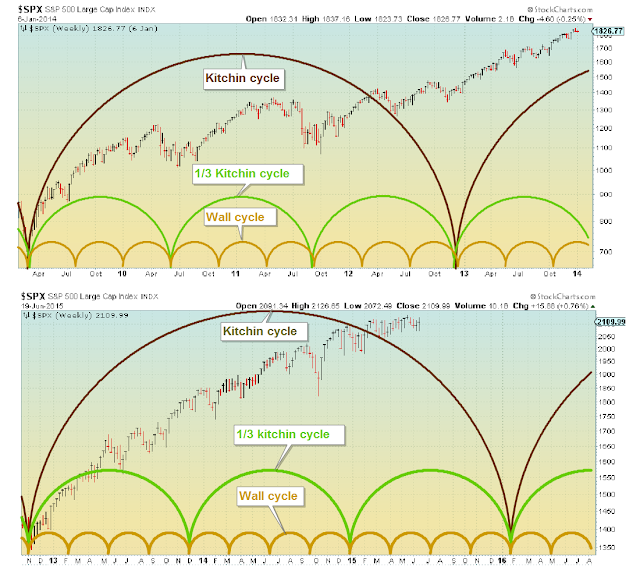 One longer cycle I focus on is the Kitchin Cycle which is 41-42 months long (about 3.5 years - half the 7 year cycle). 1/8th of 42 is about 7 months. This puts the bottom of the Kitchin Cycle. You have a nesting of the 1/3 Kitchin cycle, the Wall cycle and the shorter cycles I general discuss at this time also. This is also about 7 years from the 2009 bottom which pushes the bottom out toward the end of the first quarter 2016. Given this alignment of cycles one should not be surprised if the second half of the year turns bearish. I have no clue if the FED's actions will extend these cycles and move the bottom into mid 2016. I am saying use extreme caution in your trading during the second half of 2015. Might even consider a position in an Inverse ETF (rational amount). 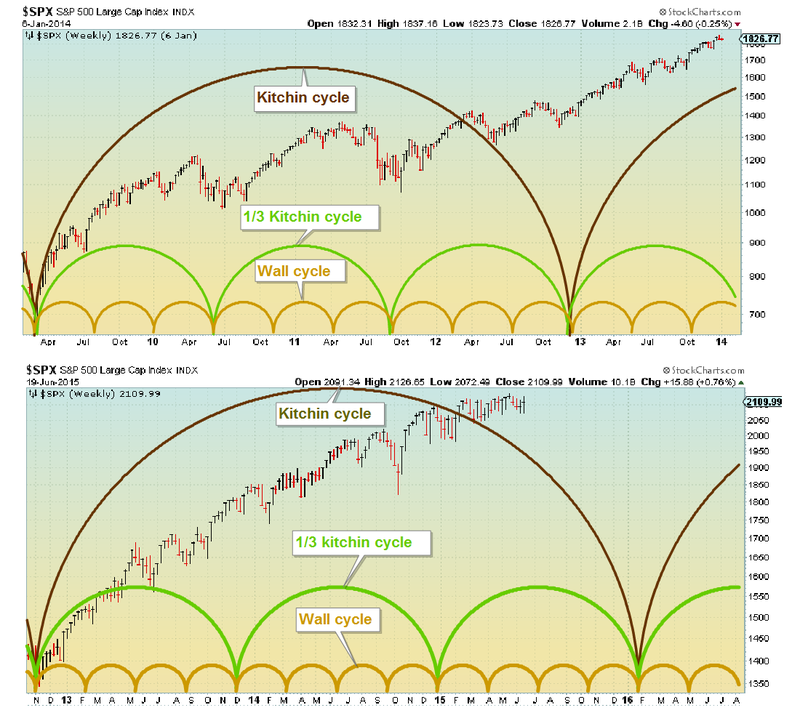 About time for the last 1/8th of the Kitchin cycle (most damaging?). See discussion above.